This important work challenges the validity of the "New Perspective" on Paul and Judaism. Working new data from Jewish literature and a fresh reading of Romans 1-5, Simon Gathercole produces a far-reaching criticism of the current approach to Paul and points a new way forward. Building on a detailed examination of the past generation of scholarship on Paul and early Judaism, Gathercole's work follows two paths. First, he shows that while early Judaism was not truly oriented around legalistic works-righteousness, it did consider obedience to the Law to be an important criterion at the final judgement. 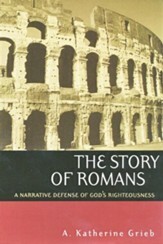 On the basis of this reconstruction of Jewish thought and a rereading of Romans 1-5, Gathercole advances his main argument - that Paul did indeed combat a Jewish perspective that saw obedience to the Law is not a criterion for the final judgement because human nature makes obedience to the Law impossible. His doctrine of justification can therefore be properly viewed in its Jewish context, yet anthropological issues also take center stage. This important work challenges the validity of the "New Perspective" on Paul and Judaism. Working with new data fom Jewish literature and a fresh reading of Romans 1–5, Simon Gathercole produces a far-reaching criticism of the current approach to Paul and points a new way forward. Building on a detailed examination of the past generation of scholarship on Paul and early Judaism, Gathercole's work follows two paths. First, he shows that while early Judaism was not truly oriented around legalistic works-righteousness, it did consider obedience to the Law to be an important criterion at the final judgment. On the basis of this reconstruction of Jewish thought and a rereading of Romans 1–5, Gathercole advances his main argument — that Paul did indeed combat a Jewish perspective that saw obedience to the Law both as possible and as a criterion for vindication at the final judgment. Paul's reply is that obedience to the Law is not a criterion for the final judgment because human nature makes obedience to the Law impossible. His doctrine of justification can therefore be properly viewed in its Jewish context, yet anthropological issues also take center stage. Simon J. Gathercole is lecturer for the Faculty of Divinity at the University of Cambridge. "Gathercole has offered a stimulating study that makes an important contribution to an ongoing debate that may perhaps, with the aid of commendable efforts like his own, enter into new and more fruitful stages of discussion." "The volume is important for our understanding of the theology of early Judaism, for Pauline exegesis and theology and for New Testament theology in general. . . . Well written and persuasive." "Lucid, evenhanded, and helpful for any student of Jewish and Pauline soteriology." "Simon Gathercole's new book is well worth reading. A solid piece of work, it enriches Pauline scholarship in at least three ways. First, the book offers the first monographic investigation of Paul's use of kauchēsis/kauchasthai ('boasting') in Romans 15 in more than three decades, thereby filling a real gap in the research of the opening chapters of Romans. Second, by taking issue in a fair-minded way with the chief representatives of the 'New Perspective' on Paul (E. P. Sanders, James D. G. Dunn, and N. T. Wright), Gathercole demonstrates that already before the rabbis, a long succession of early Jewish authors advocated a soteriology resting on two principles  the principle of election and redemption on the one hand, and the principle of recognizing righteous deeds according to the measure of the law on the other. Paul takes critical issue with this view. Finally, Gathercole's book stimulates one to rethink , on the basis of the original texts, the anthropological bases of the Pauline and early Jewish expectations of salvation and the question of the assurance of salvation." "Against E. P. Sanders's notion of 'covenantal nomism,' Simon Gathercole clearly demonstrates from various Jewish sources that many Jews of the New Testament period thought that eschatological salvation depended on obedience to the Torah as well as on God's election. Then, against James D. G. Dunn's and N. T. Wright's notion of 'national righteousness,' Gathercole convincingly demonstrates that in Romans 15 Paul argues for justification of the ungodly by faith in contrast to the Jewish notion of justification on the basis of obedience to the Torah. The result is an important book marked by the author's firm grounding in the sources, convincing exegesis, and clear argumentation. Gathercole thus drives a big nail into the coffin of the 'New Perspective' on Paul." "In this important book Simon Gathercole breaks free from the overly polarized discussion of the relative positions of grace and works in the writings of early Judaism, including the New Testament. By placing consideration of final judgment alongside the value of what Jews inherited from the past and experienced in the present, he presents a reading of the Jewish texts that form the matrix of Paul's concerns in a more balanced and nuanced form than is common in the 'New Perspective' on Paul. Sweeping generalizations are avoided through the frequent citation of primary sources, and a wealth of scholarship is presented in a highly readable manner. This work will become compulsory reading for all involved in reconstructing the variegated Judaism of the turn of the era." "This is a well-researched and highly significant book that will reignite many debates about Paul and Judaism. Correcting several one-sided features of the 'New Perspective,' Simon Gathercole also avoids the mistakes in traditional approaches to this topic; indeed, he takes the debate forward into new terrain in which Paul's theology regains its capacity to startle and surprise. This is a very important contribution to the new wave of 'post-Sanders' scholarship. " I'm the author/artist and I want to review Where Is Boasting? Early Jewish Soteriology and Paul's Response in Romans 1-5.